Venus Run 2012 has been cancelled. Refunds by cheque will be made to the participant’s registered mailing address in the next 4 weeks. For further enquiries please call 6563862721. Thank you for signing up for the Venus Run 2012. In order to ensure the best Venus Run race experience for you, it is with much regret that the Venus Run will be postponed till a later date. All registration fees will be sent to you in cheque around the 2nd week of March. As a gesture of goodwill, you will also receive our Venus Run race tee. Our team will be in touch with you to ensure that your refund has been well received. We look forward to seeing you at the next Venus Run. Registration closes on 29th February 2012, Wednesday. Welcome to Venus Run 2012. This event is held in conjunction with the International Women’s Day. After the success of last year event, we are please to host this women-only competitive run again. The Venus Run 2012 will be held on 11 March 2012 at Bedok Reservoir Park and the run will be commencing at 0830 hours. Madam Halimah Yaacob, Minister of State, Community Development, Youth and Sports will be our Guest of Honour. The event aims to promote women´s active lifestyle and increase women´s participation in sports and fitness programme through this event. Venus Run is about empowering and promoting healthy lifestyle among women. With a 5km leg route, the Venus Run is targeted at women who have never attempted a competitive run before, as well as those already addicted to the chase. 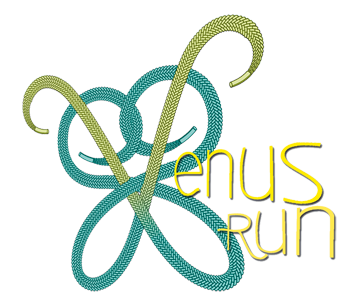 The Venus Run 2012, presented by Singapore Athletic Association, is open to women aged 16 and above, and costs $20 to sign up. Whether you´re in it to achieve a personal goal of completing a run or to better your personal limits, we guarantee you a fun and rewarding time. All runners who complete the race will receive a certificate of participation. There will be 20 prizes for the top 20 runners and the first 50 runners will be awarded with a finishing medal. So lace up and join in the Venus Run 2012! We will open the registration shortly. To be informed we recommend you sign up to our mailing list.